It is situated at the top of a hill, overlooking the village of Clophill, and dates back to the 11th – 12th century. Indeed, archaeological evidence suggests that the area was possibly a sacred site as far back as Celtic times. During the Victorian period, the village of Clophill grew, and the congregation became too big to be housed in the church. As a result, a new, larger one was built down in the village and St Mary’s became a mortuary chapel to serve the graveyard. Perhaps what St Mary’s is most famous for is its association with black magic. 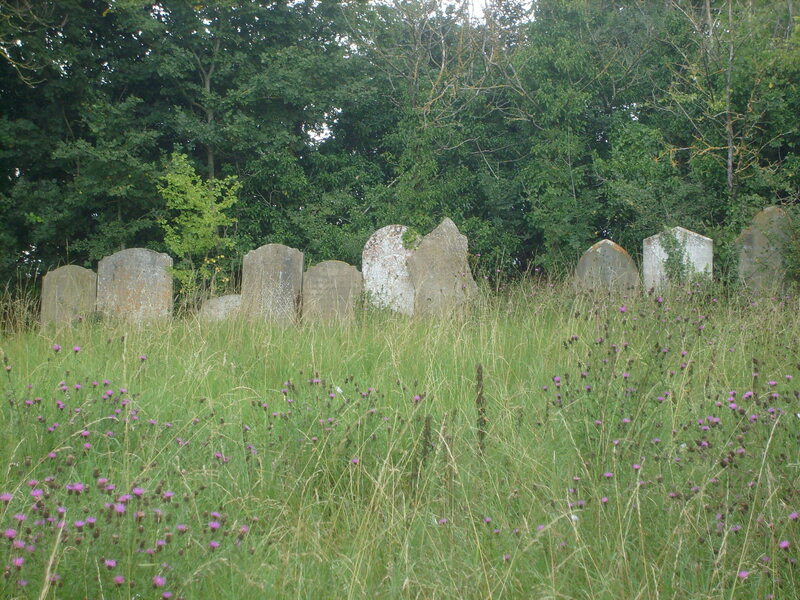 In 1963, a grave belonging to an apothecary’s wife, Jenny Humberstone, was opened and her bones scattered in the church. At the time it was said that this was a crude attempt at black magic. Similar acts of desecration occurred in 1969 and 1975. What may have simply been horrific acts of vandalism and desecration have led the area to acquire a sinister, occult reputation, attracting people from all over England to come and visit the ruins. Many have claimed that they have witnessed supernatural goings on at St Mary’s, including the seeing of flashing lights and ghosts. In recent years, St Mary’s has also been a victim of graffiti, and never am I more sad and angry than when I have seen a pentagram spray-painted on the ruins of a religious building. I believe in my heart that those responsible are not true Witches, Wiccans or Pagans. Many pagans believe that we each have the right to pick and practice our religion, and we respect the faiths of others and their religious buildings. However, that doesn’t stop us being associated with such groups by those who do not know any better. Such acts fuel the misconceptions that surround modern paganism, and these thoughtless, childish antics damage the reputation of paganism as a whole. What are you, a witch, doing up there by this church, I hear you ask. Nothing sinister is my reply. 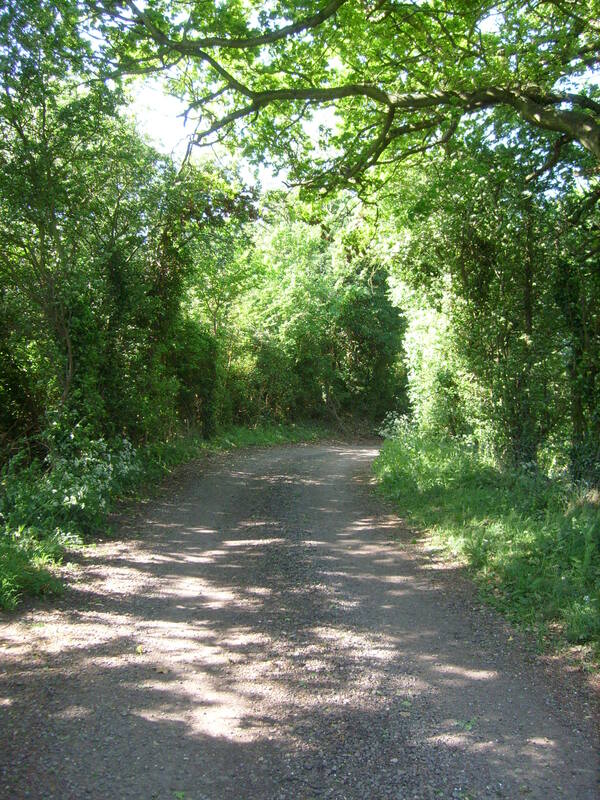 The church is situated on the Greensand Ridge walk, which passes through some beautiful Bedfordshire countryside, so my partner and I are often in the area walking, if the weather allows. The area is also one of my favourites for collecting the berries of the hawthorn. As you can imagine, the ruins of St Marys and its cemetery are quite atmospheric. Next to the old graveyard, a modern one is still in use. The ruins are now set to receive a makeover, one that will eventually lead to public access to the restored church tower and the building of a separate heritage centre close by. 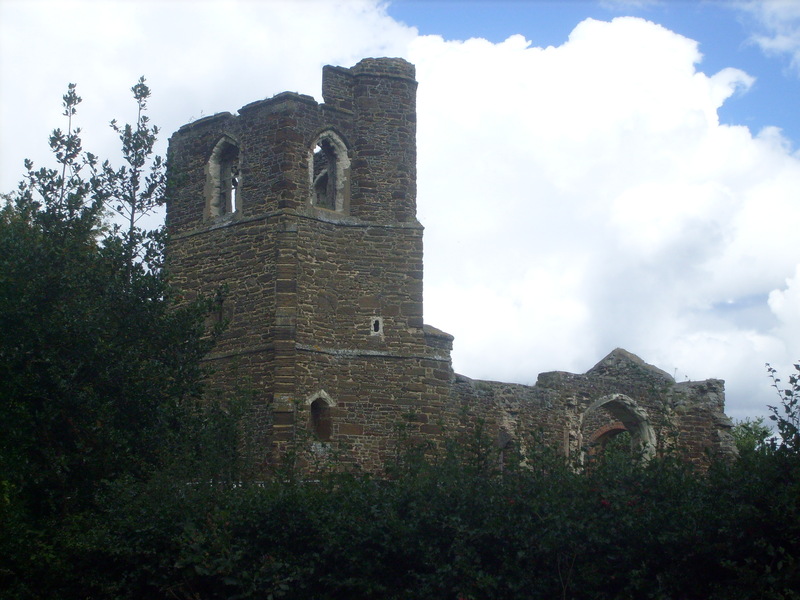 This entry was posted in On My Travels and tagged black magic, Clophill, occult, paganism, ruined churches, ruins, St Mary's Church, witchcraft. Bookmark the permalink. Thank you for that, I really enjoyed it. I love old buildings also and live next door to a 600 year old church and graveyard. Yes, it’s from my study window – it is so beautiful when it snows. Brightest Blessings. i can’t imagine a place that old…we americans are in awe of places that old,never mind how we are over castles! the thing i and others that know me find odd is my non fear of cemeteries i love old things. any thing with lots of history. my dream is to go to ireland or england. It’s amazing to me, being from the states, to see any building that is that old, still standing. I would be in a state of awe to stand anywhere in the UK or Europe for that matter, due to the centuries old history. I originally come from Massachusetts and I have lived in a 350 year old house but to think of something that old just thrills me. I think we Pagans do share a love of sacred spaces and I agree these people who profaned this site were not true followers of the path. Thanks for the post, very interesting. What a beautiful place! I love pictures of old, historical, abandoned places. Where I live, we don’t have anything like that. Thanks for sharing. Thank you for commenting 🙂 It’s one of my favourite places to visit. I love when you write about a place you visited. The chruch indeed has a rich history, and I am very angry when vandals desecrate such a historical monument. Some people are just so… (I don’t even know what to say :-)). And the old graveyard looks gorgeous too. Oh my goodness it’s beautiful girl. I’m sorry for the occult affiliations but the space is gorgeous. I’d like to have space like that to roam around in. The cemetery especially , I love to roam throughout the grave stones but getting crazy and desecrating some graves and the church itself is just plain wrong. They shouldn’t tear down that beautiful structure however. Brightest blessings. Byrony. It is such a beautiful place to explore, especially the area of the old cemetery. Luckily the restoration plans include giving the old church shell a new roof, so hopefully it will still be around for generations to come. Brightest Blessings Byrony! Wow that old church is Really old and beautiful, especially with the old graveyard that remains. Such places are sacred to witches because we honour our ancestors no matter of what faith. Hopefully with the restoration there will be more people around and less opportunities for teenagers with their pranks defacing it.